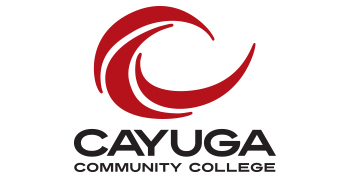 There is no better time for students to enroll in Cayuga Community College than the College’s upcoming summer Instant Admission Days that offer students one-stop shopping and answers all their enrollment questions. Cayuga’s Instant Admission Days offer students the chance to apply for enrollment, submit their academic credentials, register for classes, complete the financial aid process and pay their tuition all in a single day with the help of college personnel. Cayuga Director of Admissions Bruce Blodgett said the Instant Admission Days are the perfect time for new, continuing or returning students to stop at Cayuga’s Auburn or Fulton campuses and finalize their enrollment and course registration before starting classes in the fall. At the Auburn Campus, Instant Admission Days are at 3PM on June 21st, July 19th and Aug. 16th. At the Fulton Campus, Instant Admission Days are at 2PM on June 19th, July 10th and Aug. 14th. Students will need to bring copies of their high school and/or college transcripts, GED/TASC documentation, photo identification and a copy of their and/or their parents’ 2016 tax return. Students interested in meeting with a financial aid representative for help submitting a Free Application for Federal Student Aid (FAFSA) should bring their social security number and a parent’s social security number; 2016 income and asset information; Federal Student Aid ID username and passwords if established; and email addresses for themselves and a parent. For more information, contact the Admissions Office at 315-255-1743 or email admissions@cayuga-cc.edu. More information can also be found at www.cayuga-cc.edu.